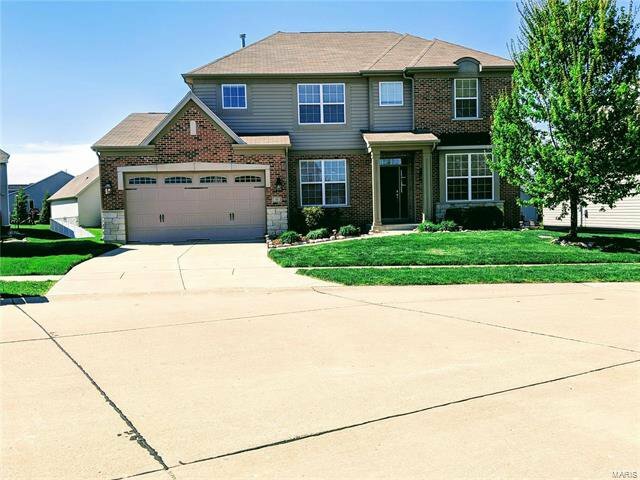 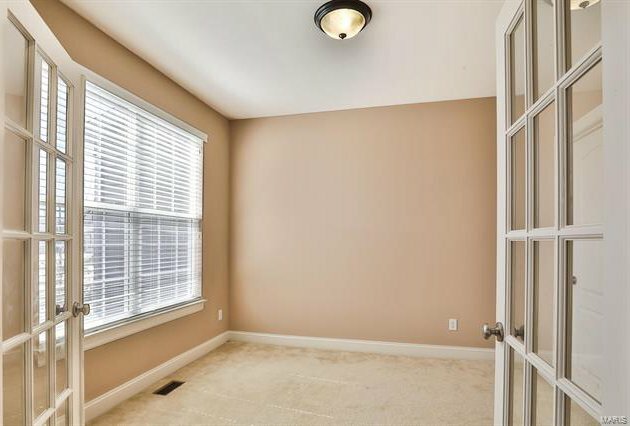 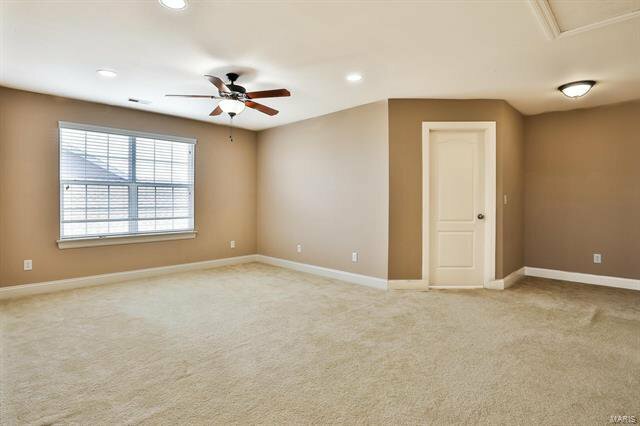 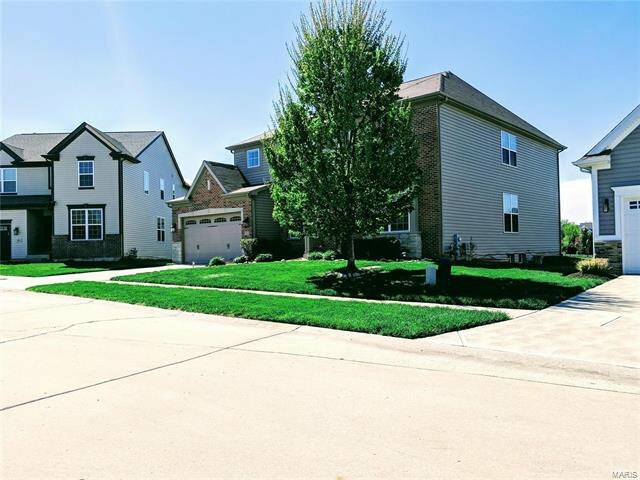 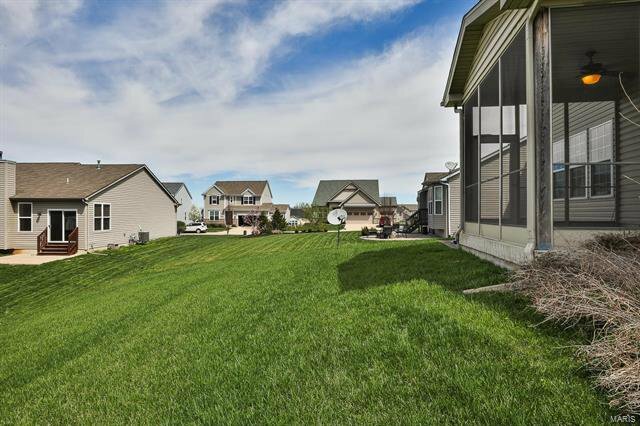 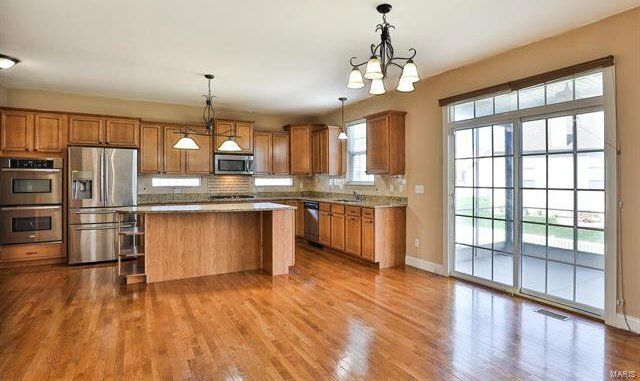 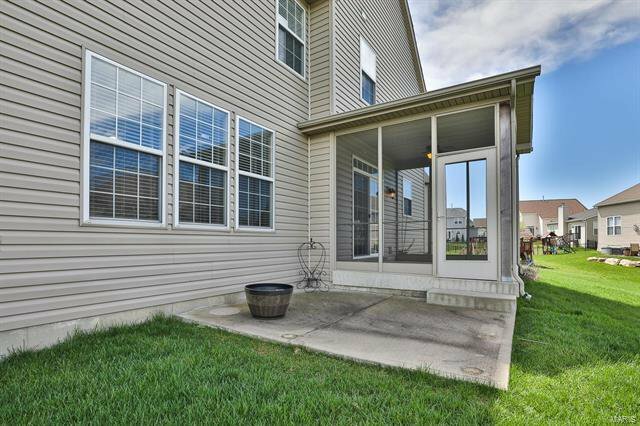 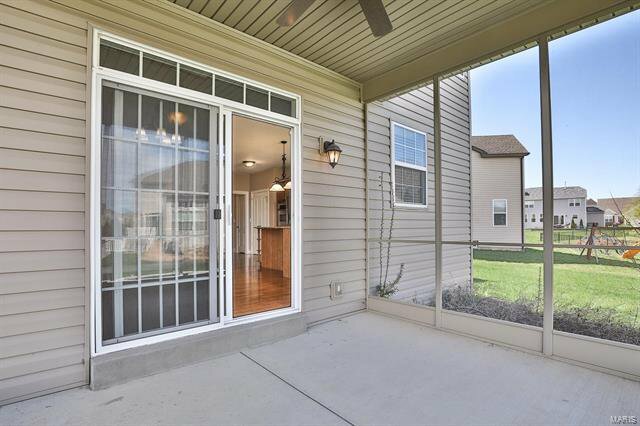 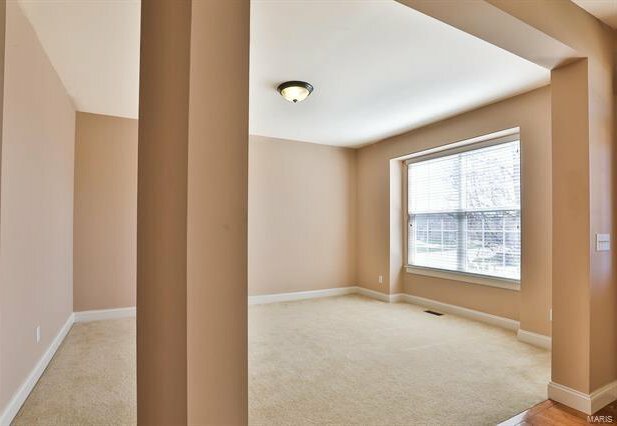 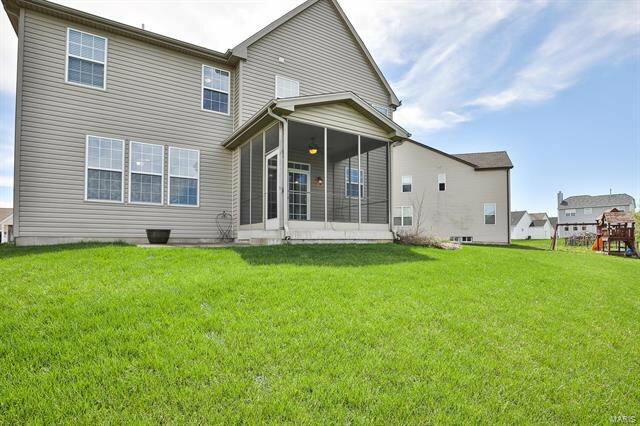 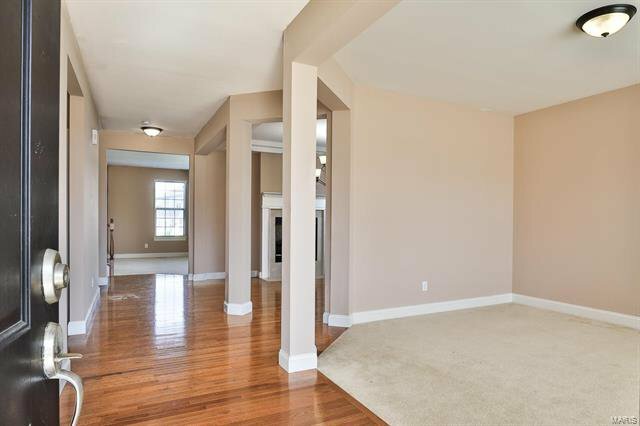 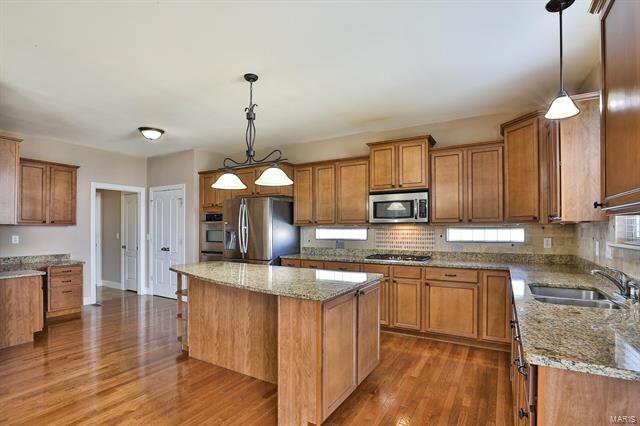 4Bed/3.5Bath two story home located on a cul-de-sac in the Fort Zumwalt East School District sits close to Woodlands Sports Park & St. Charles Community College. 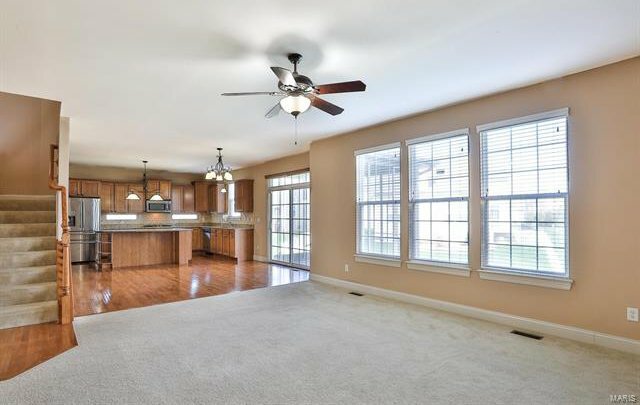 Fantastic open floor plan along w/a screened Patio make this home perfect for entertaining. 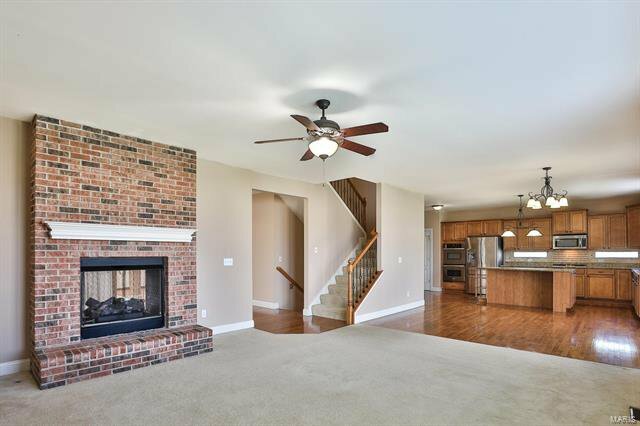 Wonderful Family Room reveals a lighted ceiling fan, triple windows & raised hearth brick gas fireplace w/wood mantle. 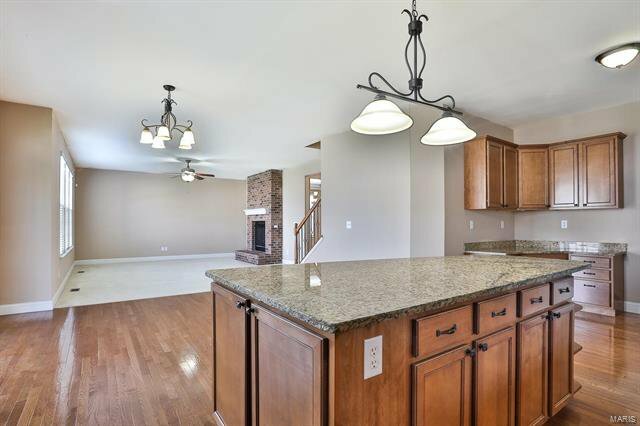 Spacious Kitchen exhibits Granite countertops, tile backsplash w/accent tile & glass block inserts. 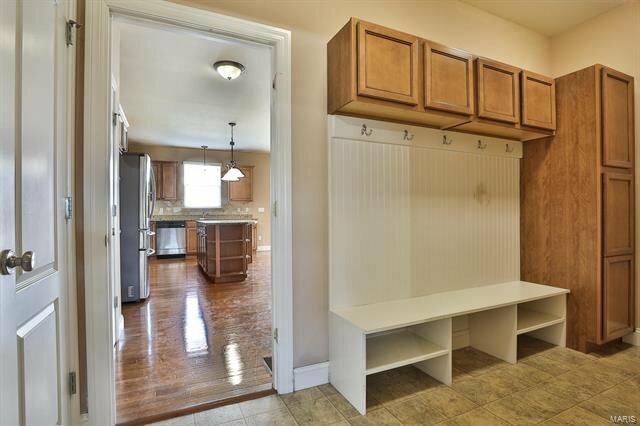 Island offers a Breakfast Bar w/shelving & cabinets that entail pull-outs. 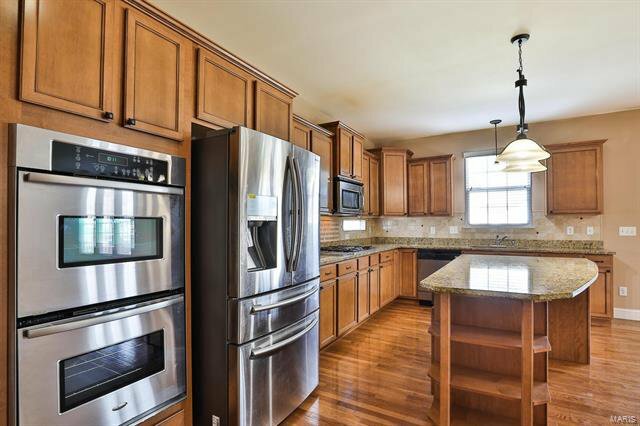 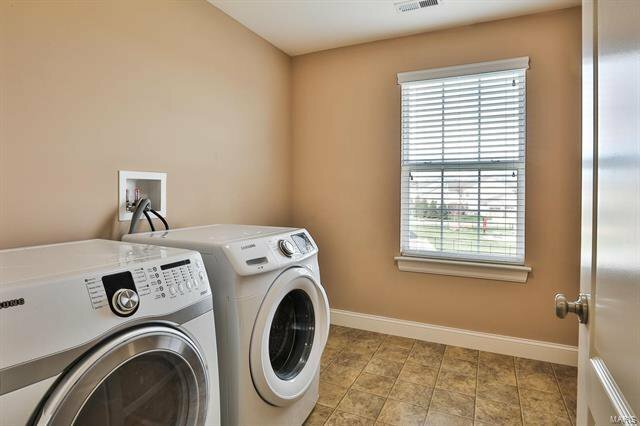 Appliances offer stainless steel dishwasher, gas cooktop, microwave & built-in ovens. 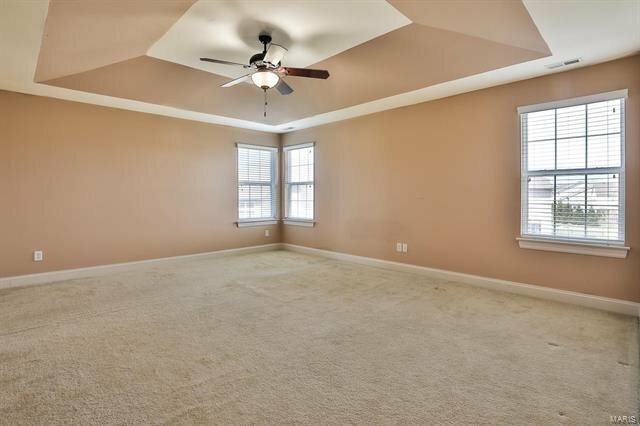 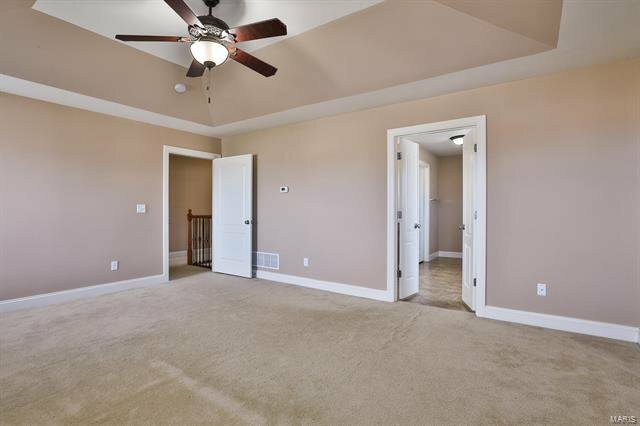 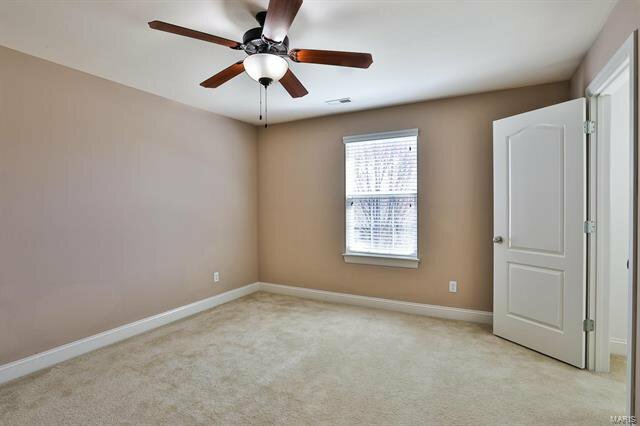 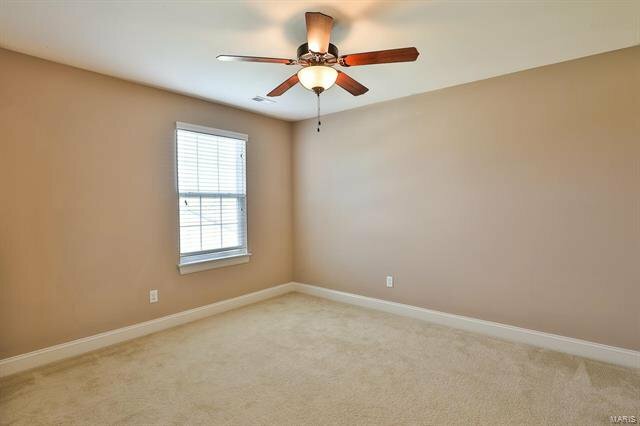 Upper-Level Master Bedroom Suite shows off a tray ceiling w/lighted ceiling fan & triple windows. 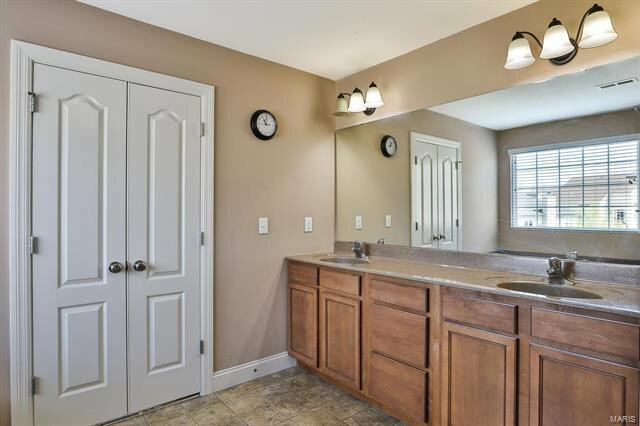 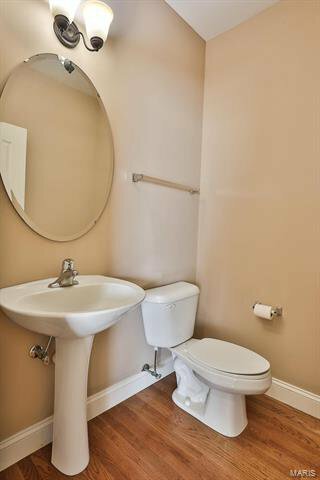 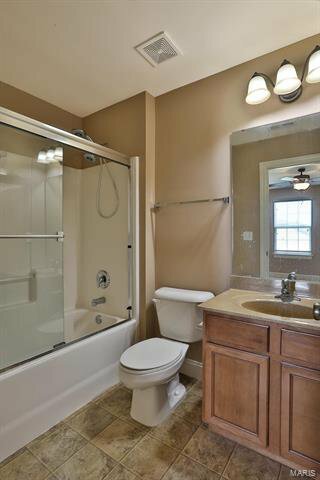 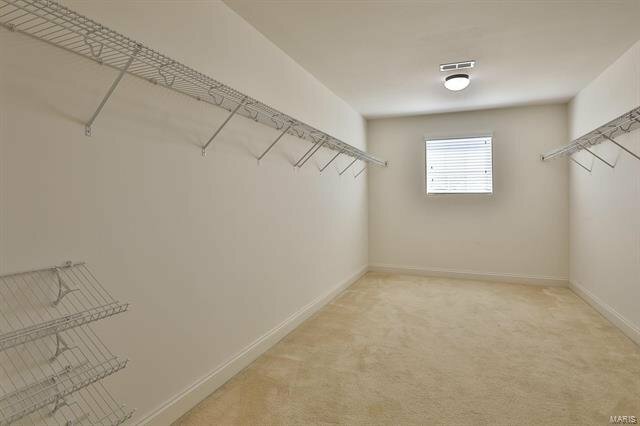 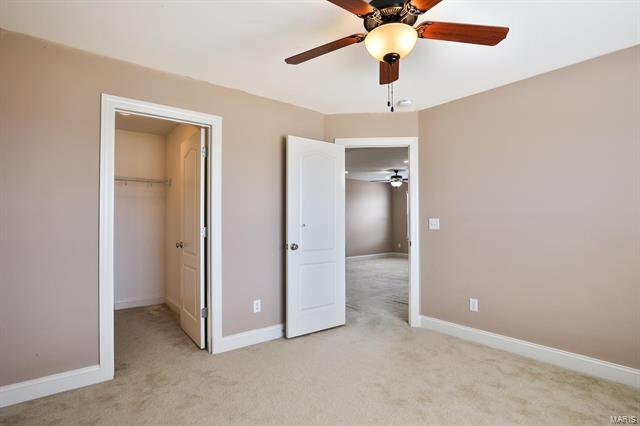 Spacious Master Bath includes dual sinks, edge to edge mirror, private commode room, soaking tub, shower & walk-in closet. 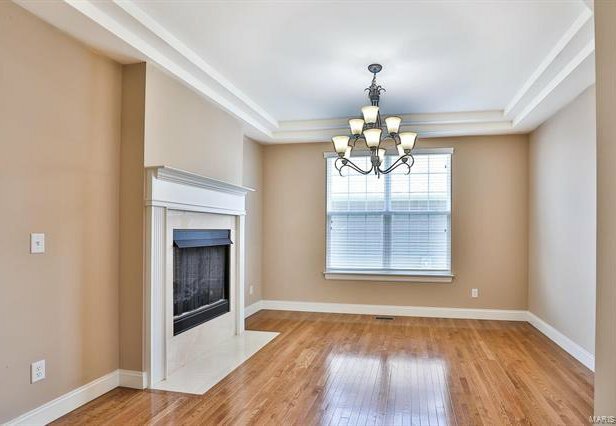 Dining Room boasts a tray ceiling w/a chandelier, dual windows & marble gas fireplace. 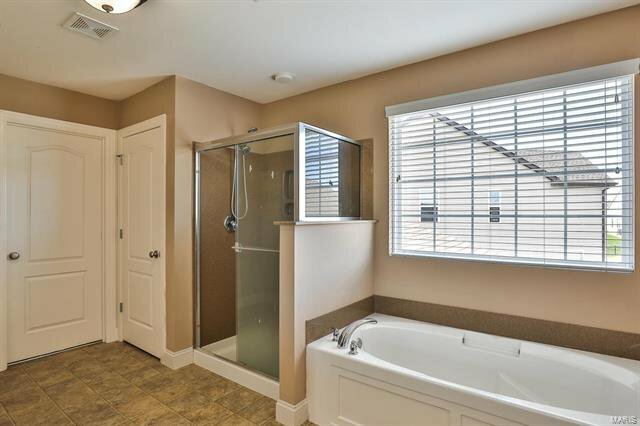 Lower Level claims an egress window & rough in for a Bath.